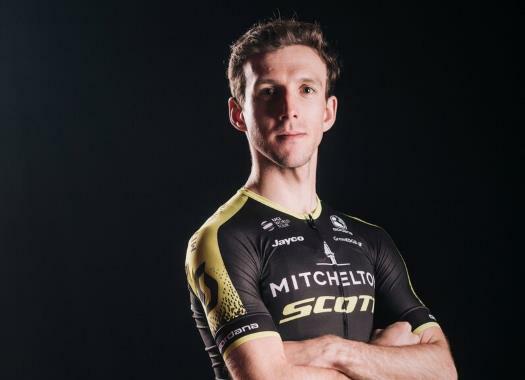 Simon Yates (Mitchelton-Scott) has extended his lead at the general classification of the Vuelta a España after a good performance on the day's individual time trial. Yates completed the 32-kilometre course of the time trial in 39 minutes and 29 seconds, which allowed him to remain in the first position of the GC at 33 seconds from Alejandro Valverde. "I did a really good ride, I was really well in the very beginning and on the hard climbs I had the perfect pacing strategy, but in the final, I was just dying like everybody else and it wasn’t nice," he commented. "Thirty-three seconds over Valverde is not that much, I had much more of an advantage in the Giro, over a minute and we all know how that finished in the end, but there’s still a long way to here and we’ll see how tomorrow goes." The Briton also commented about the surprise of the day, the good performance of Steven Kruisjwijk and that put him in the third position of the overall standings. "Kruijswijk has been strong every day so far and slowly getting better with each stage. He’s also normally good in the third week of a Grand Tour and a real diesel engine. He’s a good guy and now he’s up to third we’ll have to be very wary of him."